Estonian based Black Insurance is raising a round of up to $5M in the upcoming ICO starting October 1st, 2018 to fund the development and distribution of their technology. Utility tokens will be used in all transactions and supporting the governance system on the platform. The funds raised will be used mainly on developing the technology, in addition to that also on distribution, marketing, legal and admin costs to launch in the European markets. Black has strategic partnerships in the works today with large insurance players and commitments of $800,000 from VC’s like Concentric, BlackPearls, Fineqia and Siena as well as from insurance domain angel investors like Risto Rossar and Bundeep Rangar to name just a few, to work on the pilot project to be launched in 2019. 57 insurance brokers have signed up to use the platform, collectively doing over $350M worth of revenue per year. Operating through Black would mean a direct saving of $45M on average per year for the total brokers signed up compared to admin costs in underwriting today. The admin costs of a traditional insurance company are 20% of the gross written premiums sold on average. Operating through the Black platform these costs will be below 10%. “Initially we were aiming to raise $45M already with the first ICO but as the ICO and crypto market are not in best state today as well as while working on the Black project we realised that it is very very reasonable to progress with stages, so we decided to adjust our short term goals” said CEO and Founder of Black Risto Rossar. “We will do an additional round of funding in 2019-2020 once initial milestones have been achieved, to fund becoming a licensed insurer and expand to new markets.” he added. Black Insurance team is a great mix of insurance and blockchain industry veterans. Vision lead by Risto Rossar which came from his personal pain as an insurance broker. It is too costly and time consuming to launch a novel insurance product, hence he started seeking ways to bypass the route through insurance companies for underwriting. Prof. Alex Norta, behind projects like Qtum, Cedex, Datawallet and Agrello, one of today’s highest regarded experts on smart contracts is behind the technical white paper. Black Insurance is building an insurance enterprise platform. Admin costs in the creation of new insurance products will be reduced by 2x, time to market and capital requirement by 10x. 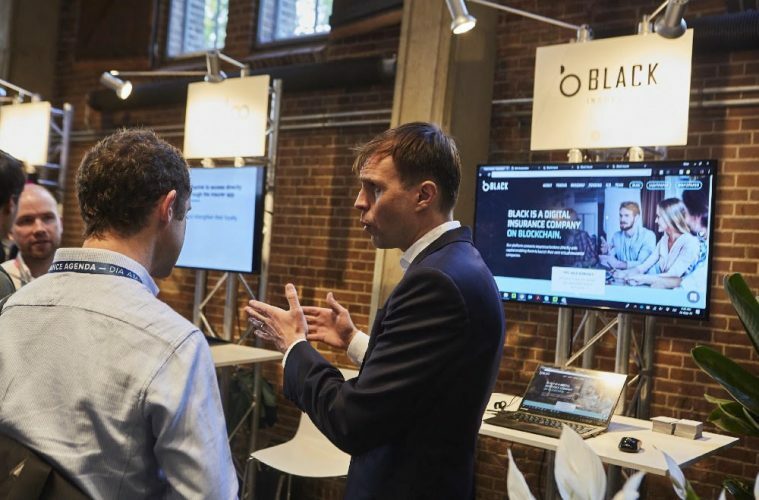 The Black platform allows insurance brokers to bypass the traditional insurance companies and start selling policies using the Black partners’ license. Essentially like Lloyd’s of London but without the paperwork.